Bitcoin is the first cryptocurrency ever released, becoming available in 2009. Bitcoin quickly found popularity as a means of anonymous exchange online that required no banks to complete a transaction. Even the creator of the bitcoin cryptocurrency is unknown and used the alias Satoshi Nakamoto. Today, several types of cryptocurrency are on the market in addition to bitcoin including Ethereum and Ripple. 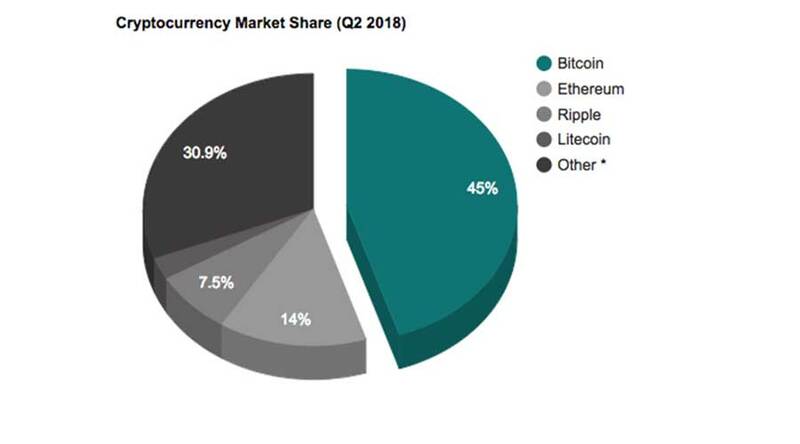 While there are multiple cryptocurrencies on the market, Bitcoin has remained dominant in the market, despite a downward trend. Unlike traditional currency, there is no physical base (such as gold) to the value of the currency and no governmental controls. Bitcoin users determine the value of the cryptocurrency. For example, how much users will pay for it and how many things bitcoin can buy are user-determined. Bitcoin value fluctuates wildly in some cases. The value for one bitcoin passed $10,000 in November 2017 but slid back to just under $8,000 per bitcoin in March 2018. This cryptocurrency can be broken out to 8 decimal places; however, the majority of transactions are in tiny fractions of a whole Bitcoin. The software that controls Bitcoin transactions caps the number of bitcoins in circulation at 21 million. No central controlling government or bank issues bitcoin. Issuance happens by bitcoin transaction and encryption software as users mine coins. This decentralized system is called the blockchain. Records of individuals and the blockchain must match for bitcoins to be considered real. Individuals store bitcoin account keys and encryptions on computer hard drives. Lose the drive, and you lose your bitcoins. There is no recovery option and no financial institution like a bank to appeal to if something happens to your account key and transaction record. Trading or purchasing of Bitcoin happens in person-to-person transactions. These peer-to-peer (P2P) transfers often take place with computer programs or mobile apps on smartphones. For example, you can compare the process to PayPal for traditional cash transactions, but without government regulation to ensure the safety of the transaction. For P2P connections there is no third party, or broker, in the middle of the transaction. The buyer and seller may not even know the real identity of one another depending on the platform used for the transfer. Peer to peer transfers can also be made in person with buyer and seller meeting face to face to exchange physical money for the digital bitcoins. However, this is not without risk. Much like meeting a buyer or seller for a transaction through, for example, Craigslist, one should consider safety during in-person P2P bitcoin transfers and meet-ups. 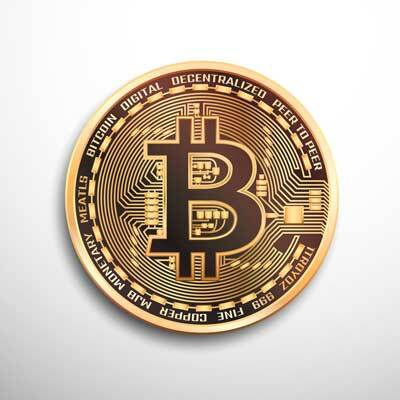 Bitcoin can be bought and sold on online marketplaces such as eBay. Platforms often require that sellers place bitcoins in an escrow account to prevent one party from taking the money and running. Once the buyer pays for the bitcoins, the transaction completes, and the cybercurrency goes to the buyer’s bitcoin wallet. Bitcoin P2P platforms usually take small transaction fees for facilitating the process. Two of the largest P2P platforms for buying and selling bitcoins are LocalBitCoins and Xcoins. Mining bitcoins is a process where specialized computer programs compete to solve complex math problems involved in the recording of other bitcoin transactions. Every time someone buys or sells bitcoins, or purchases something with bitcoin, “volunteer” computers process the data called blocks. The computers that solve blocks fastest earn bitcoins as rewards for supplying the processing power to make the bitcoin process work. As of 2018, the successful miner earns around 12.5 bitcoins. While this may sound like easy money, the processing power required, internet connection speeds, and the hardware needed to process this data correctly makes mining too costly for most individuals. Energy consumption alone for bitcoin mining eats up about 42 percent of the return. One of the easiest ways to buy bitcoin is through a bitcoin exchange. 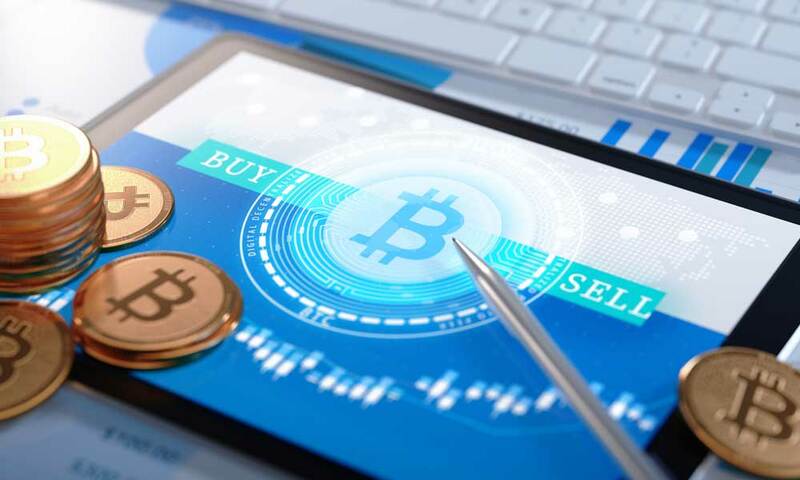 In these private marketplaces, people can buy or sell bitcoin and other cryptocurrencies with a variety of currencies including traditional funds. Like a stock exchange, a broker takes orders completes sales. The buyer and seller never connect with each other, and the exchange takes a fee for the transaction. Some of the more substantial exchanges are Coinbase, Bitstamp, and Bitfinex. There have been cases of cryptocurrency exchange hacking in the past. In 2016, hackers broke into the Bitfinex exchange and stole the equivalent of over $65 million in bitcoins. Exchange operations widely vary because they are, at least for now, unregulated. One of the most recommended beginner exchanges is Coinbase through its mobile app or desktop version. A clean interface makes shopping for bitcoin about as simple as browsing Amazon. Sign up for a Coinbase account, connect your bank account, and make a purchase. Exchanges may offer digital storage of transactions and account encryption keys. Some use offline storage to prevent hacking as data is entirely offline except when being used. This offline storage could be a stack of thumb drives in a file cabinet or external hard drives stored in a vault. Be sure to research how your chosen exchange stores your data. After hackers began targeting bitcoin and other cryptocurrency exchanges, some began offering private insurance, again not government backed, on funds and transactions. Storing your bitcoins is your responsibility. Unlike traditional currency where you either have the physical product, cash-in-hand or regulated financial institutions holding the records of your funds, bitcoin storage is up to the owner of the bitcoins. While the blockchain is a global ledger of bitcoin ownership and transactions, it is untraceable and unusable without individual account keys. Users store their keys, a string of characters that represents their account, in digital form in a program called a bitcoin wallet. The exact software and storage media is up to the individual user. There a few good cryptocurrency wallets to consider for storing bitcoin: Coinbase, Exodus and Mycelium. Coinbase Wallet: Coinbase is a user-friendly digital wallet that comes with a certain amount of insurance for your stored bitcoin. You can access your Coinbase wallet from any device. Exodus: Exodus is an all-encompassing offline application that supports multiple cryptocurrencies including bitcoin. It’s free to use and has graphing tools that make visualizing your cryptocurrency portfolio easier. Mycelium: Mycelium is a mobile cryptocurrency wallet known for its advanced technology and security. Bitcoin’s value fluctuates fairly quickly so whether you’re planning to ultimately sell your bitcoin, make purchases with it or invest it for retirement, you should be ready to do so quickly when the price is right. What is a Self-Directed IRA? How Do I Open An IRA?